Anyone flying into Sydney and planning on renting a car can pick it up directly from Sydney Airport from companies like Budget, Avis, Europcar, Enterprise (formerly Redspot), Hertz and Thrifty. You can book a car with us ahead of your trip and pick up the vehicle upon arriving at the airport. Several car hire counters are located at the arrivals terminal. Why rent car in Sydney Airport at VroomVroomVroom? Enjoy great rates: We have negotiated with our car rental partners so we can provide the best deals. Read our price promise here to learn more. Wide selection of cars: We compare a broad selection of rental cars thus making it easier for you to find the right vehicle for your next trip. Trusted since 2001: We have been helping people find the perfect car rental for more than 15 years. Let us help you as well! Excellent assistance: Our highly-motivated customer care experts are ready to assist you so feel free to contact us anytime. The airport is situated about 8 kilometres from the Sydney CBD and can take about 25 minutes via rental car in light traffic. For general information on departure and arrival, visit the official site of Sydney Airport. If you want to get some tips on road safety and learn about rules and regulations, check out our guide on driving in Australia. VroomVroomVroom can help you find an affordable car park at Sydney Airport by gathering some great on-airport and off-airport car park deals. This will save you time from researching parking options. Click here for a list of parking suppliers at Sydney Airport. Conveniently situated only 8 kilometres south of the city centre and less than 10 kilometres from key tourist attractions, Sydney Airport (also known as Kingsford Smith Airport), which officially opened in 1920 as Mascot Aerodrome, is the only major airport serving Sydney. Live it up and get ready to have an awesome time in your Sydney Airport car hire, from the world-class art and museums to famous beaches – you've got yourself a trip. If you are still organizing your travel plans, VroomVroomVroom has come up with a few wonderful things that you can do and places where you can eat or visit during your adventure in Sydney. Check it out below! If you are looking for serene day spa in Sydney CBD, Ayurvé is an oasis that will truly envelop you away from the bustling city outside. Recognised as more than just a beauty salon or a natural therapy centre, Ayurvé Beauty and Wellness Day Spa is a sanctuary for your mind, body and soul, with a combination of western beauty treatments and the ancient healing practices of Ayurvedic therapies. Established in 2001, Ayurve in Sydney has seven treatment rooms, one couple spa room, relaxing lounges, a skin bar, a spray tan facility, a shower and changing facility. So even if you are there for a 10 minute spray tan treatment or a therapeutic Ayurvedic experience, you will definitely leave feeling rejuvenated and stress free. For more recommended attractions in Sydney, check out our Travel Guide. 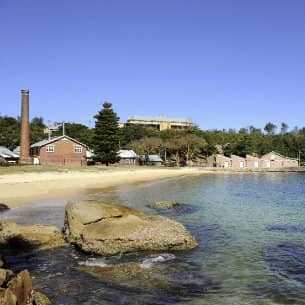 Q Station is one of Australia's significant heritage and environmental landmark's preserved within 30 stunning hectares of Sydney Harbour National Park. The spectacular site encompasses the history, life and the cultural significance of Sydney Harbour and its environs. Q Station is a unique destination, with beautifully refurbished heritage accommodation spread over several different precincts allowing guests to explore and experience the expansive location. The grounds of Q Station are an experience with wildlife, nature and magnificent views of Sydney harbour and the Sydney CBD skyline. Q Station Manly offers a variety of guided tours from daytime history tours, tours for school & vacation care groups to ghosts & paranormal tours. Situated in the heart of Sydney's CBD in the underground basement of the Central Station Hotel, the modern yet modest Nel. 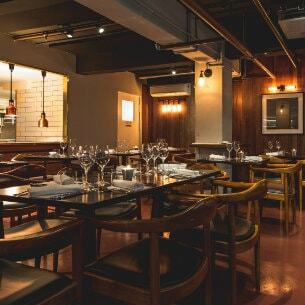 Restaurant covers an open kitchen seen from every seat in the house, which features leather booths, exposed brickwork and sleek copper facades, producing an impeccable backdrop for an exciting and open environment. Leading the kitchen is chef Nelly Robinson, praised for his new interpretations of sophisticated Australian dishes. Also, chef's strong understanding and appreciation of the perfect seasonal produce is demonstrated with a monthly changing seasonal degustation menu, which really shows his innovation; yet maintain the comfy and obtainable quality making his food so famous and well-favored by food enthusiasts. Feedback: quick and easy. Good price. Feedback: good website easy to use. Feedback: Always simple to use, always reliable. Great work guys.